Remember last week when I told you that my sister was coming to celebrate her birthday with me? Well, we had an amazing time! We laughed a ton...ate too much...and stayed up too late. It was so much fun! 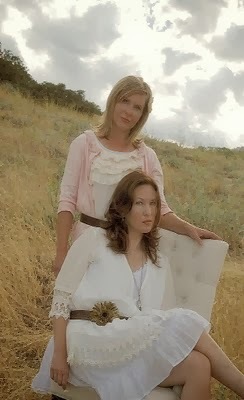 Holly and me a few years ago. If you'll recall I also told you that I had a fun surprise planned for her. Well check it out! For her gift, I made her a personalized watercolor canvas. 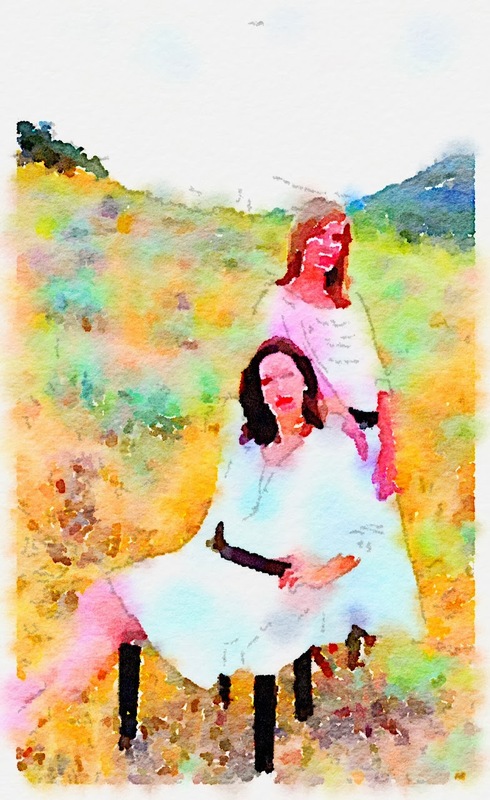 Using the Waterlogue app, I turned one of our favorite photos from this photo shoot into a watercolor. Then I had it printed on a wrapped canvas. It turned out beautifully! I've already got plans to turn some of my other favorite photos into watercolor canvases. It seriously couldn't be easier. And there's no better way to create truly unique and custom gifts. That is an amazing app. Too bad for only apple products :( But thanks for showing it. It is beautiful. I downloaded this app immediately after reading your post and I'm having so much fun with it, thanks fr posting!